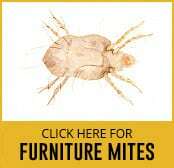 Contrary to what you might believe mites aren’t insects. They are in fact in the same group as spiders and ticks. Almost invisible to the naked eye these tiny creatures can be viewed with a hand lens and they do actually move, but not very quickly. 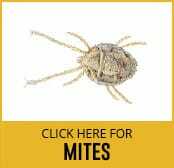 Mites have made their way into many different locations, all over the world and adapted to their surroundings very well. 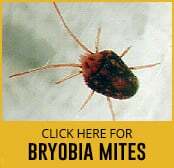 There are so many different types of mite that it would require we write a book about them – so let’s look at a few common features. Feeding habits vary from simply eating vegetable matter to cannibalistic tendencies. Some are predatory and some parasitic. In their lifetime they can typically lay 500 eggs and pass through several stages before maturing into adults. The average time from egg to adult is 3 weeks but can be much quicker if the temperature is right. This of course can lead to an infestation of mammoth proportions, with millions appearing over the course of a few weeks. Some species of mite have developed a way of getting through the tough times by having a rest stage in their development. During this time they are very resistant to any changes in their environment such as a drought or lack of food. There can be many reasons to use expert pest control but the most important are for public health or medical grounds. 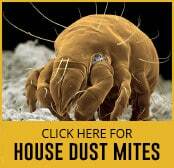 Bird mites can bite humans and spread disease, while mite droppings have been known to induce allergic reactions. Professional pest control services are a sure fire way to get any infestation under quick and long term control. Our expert pest control technicians will have the knowledge and experience to offer the most appropriate treatment for a problem that can’t be dealt with on your own. Keep your family safe with a highly qualified extermination service.